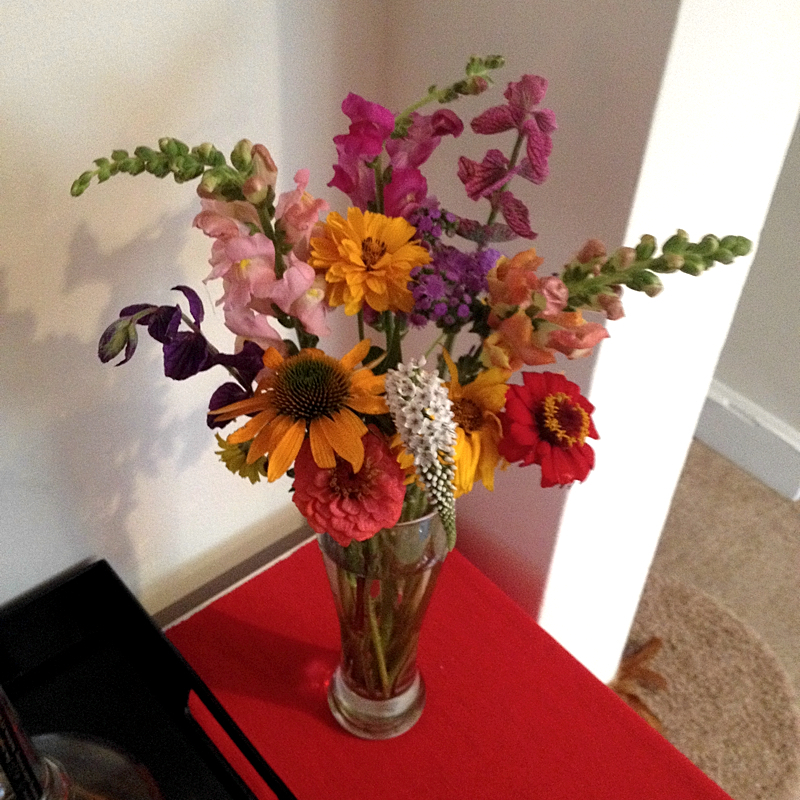 The highlight of this week's farmer's market trip is the beautiful bouquet of summer flowers that I mentioned not being able to get in my last post. I spent about ten minutes chatting with the vendor about assorted things before deciding on this small but saturated bouquet. I can't wait to see what it looks like once everything has fully bloomed! 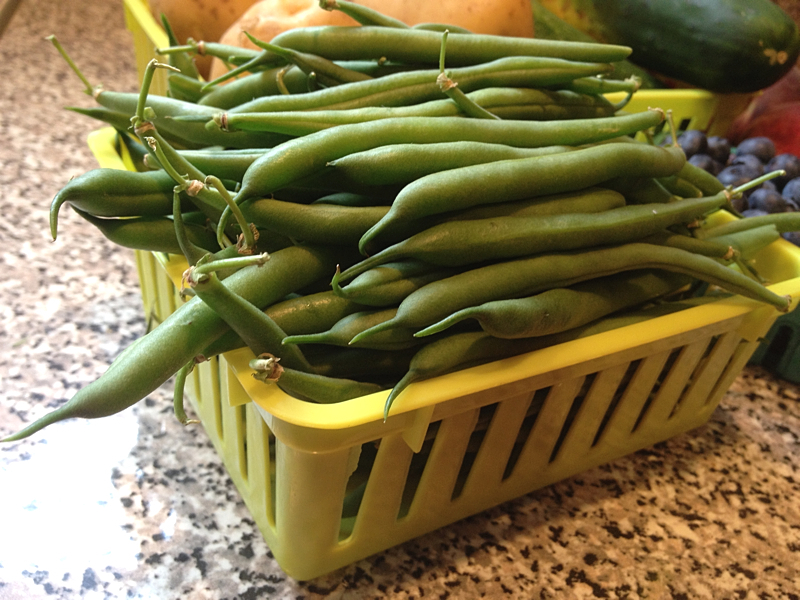 As far as fruit and vegetables go, the blueberries taste awesome this week. 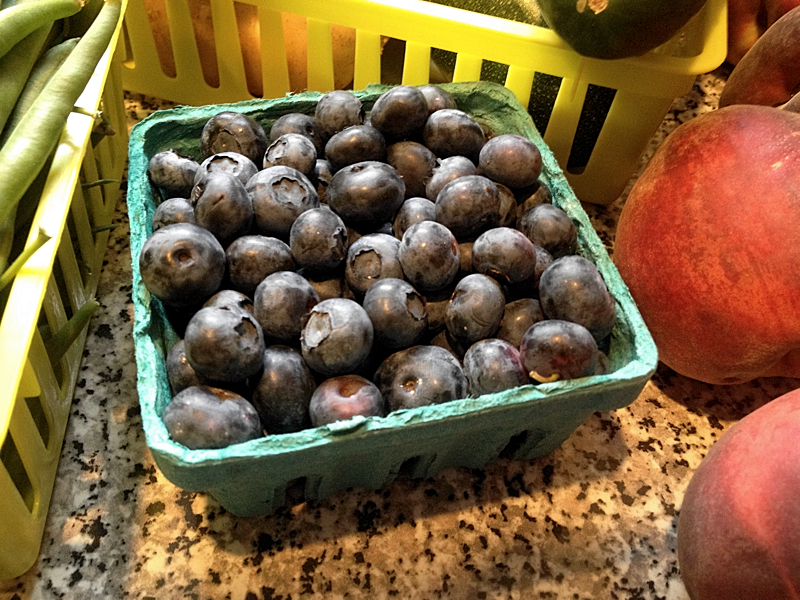 I love blueberry and peach season! Unfortunately the photo quality is a little lackluster this week because with all these impending rainstorms, I keep coming home to dark skies and no natural light to speak of in the apartment, but oh well. 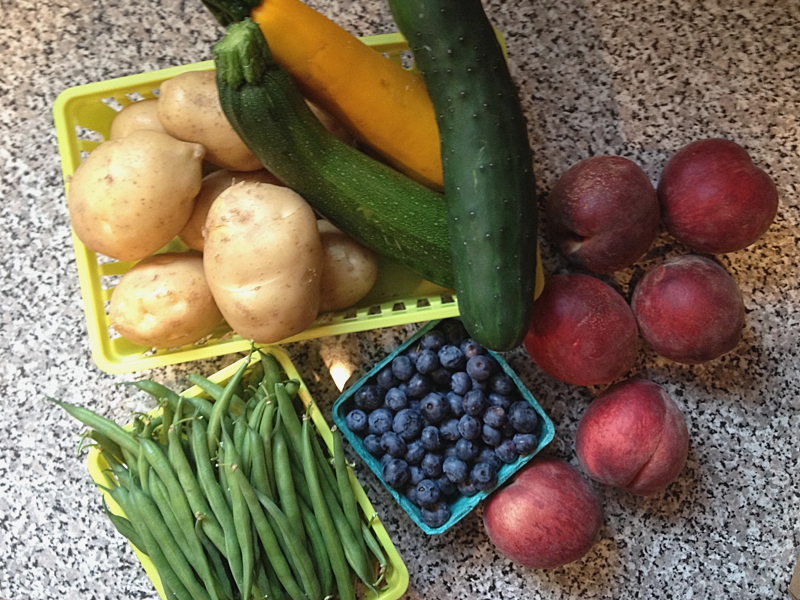 This week's purchases: potatoes, zucchini and yellow squash, cucumber, white peaches, blueberries, green beans. 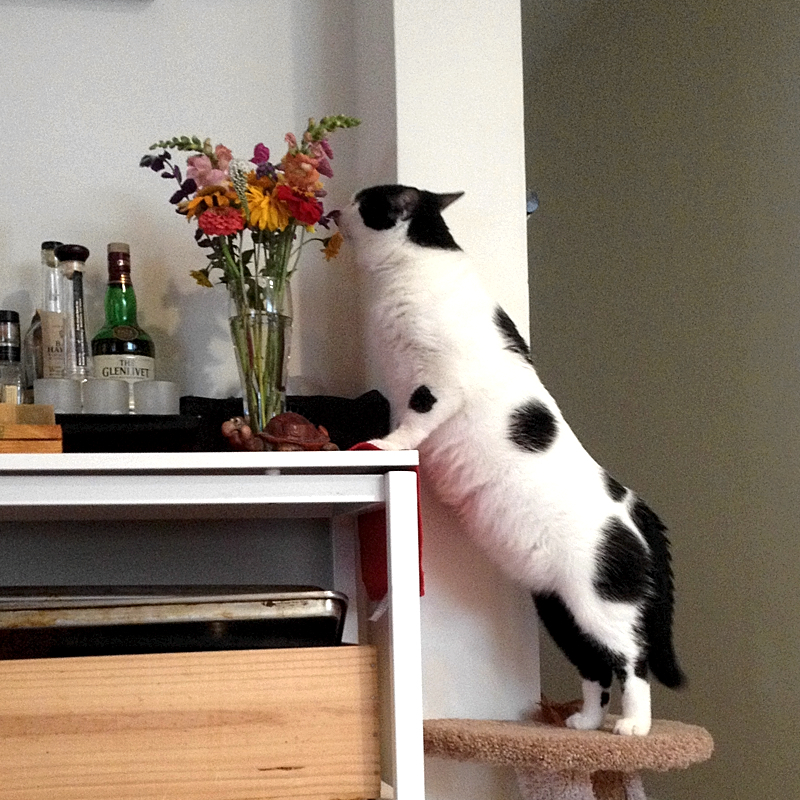 ...Lloyd reminds us all to stop and smell the flowers every once in a while.